TNW Conference USA: Announcing our New York afterparty! If there’s one thing we’ve learnt over the last ten years of organising TNW Conference, it’s that the networking doesn’t end when the conference does. We’ve seen some of the most memorable connections being made and partnerships being struck once the lights have dimmed and the drinks have started flowing. 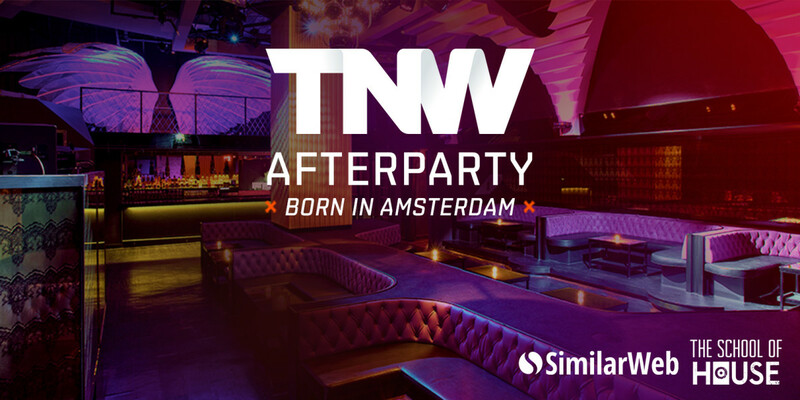 For this year’s TNW Conference in New York on November 18, SimilarWeb is kindly hosting the official afterparty – the theme of which harks back to our Dutch roots. Join us after the conference at 9pm as legendary Amsterdam party organisers, School of House, bring you together with three of the finest Dutch DJs – all under the Provocateur’s famous Edward van Vliet chandeliers, imported from the Netherlands. This elegant, private venue is nestled within the aptly named Gansevoort Hotel. A word of warning. Spaces are extremely limited. With a maximum capacity of 500, and 1,500 registered conference attendees, you’ll need to RSVP quickly to secure your spot at this exclusive event. To keep things fair, we’re operating a policy of first-come, first-served, with priority going to TNW Conference ticket holders. Keep an eye on your inbox after you’ve applied to see if you’ve secured an invite!